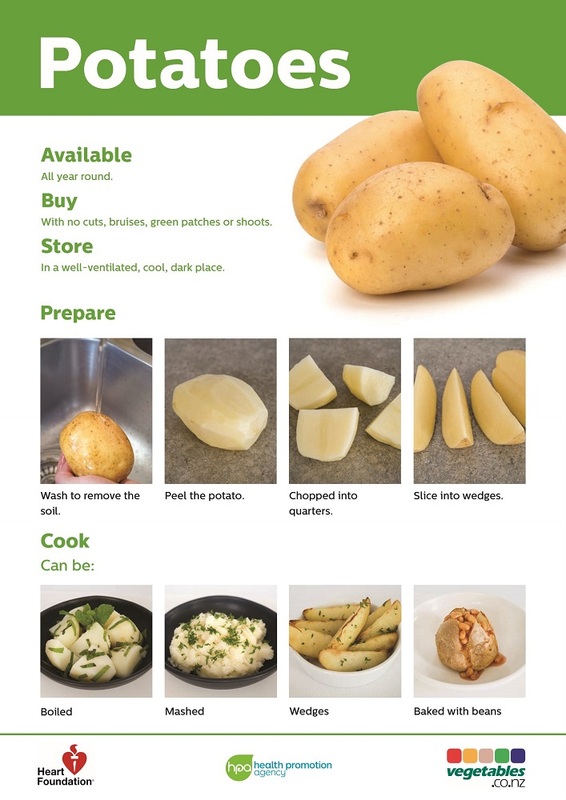 Floury potatoes Ideal for Roasting, Baking, Chips, Wedges & Mashing. Yellow skin, Yellow fleshed potato. Enjoy the skin too: many of the nutrients are in the skin. Low in water content & high in starch. These potatoes have a dry & delicate texture, break up easily when cooked, & absorb a lot of liquid & flavour. Potatoes are the number one vegetable in New Zealand with 97% of us eating them. 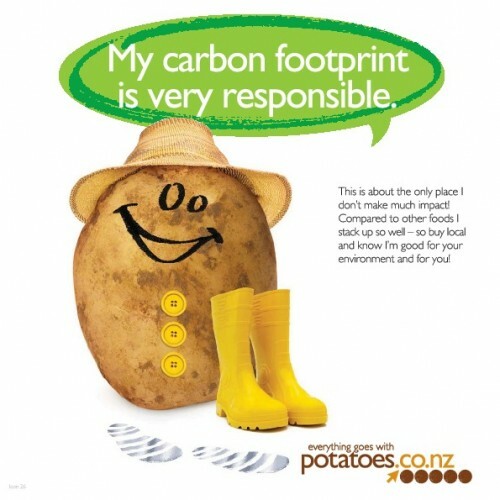 53% of New Zealanders consume fresh potatoes four times per week & 21% of New Zealanders eat them daily. HOWEVER, many nutritionists now believe the glycaemic index is not a very useful measure because it is a ratio that refers to the digestibility of carbohydrate relative to glucose, & does not reflect the density of carbohydrate in the food or the amount of food eaten to achieve a blood glucose response. Glycaemic impact is a new way of measuring blood glucose response to food. The advantage of this measure has gram units & can be expressed as g/100g of food or g/serving of food, just like other nutrients on a food label. 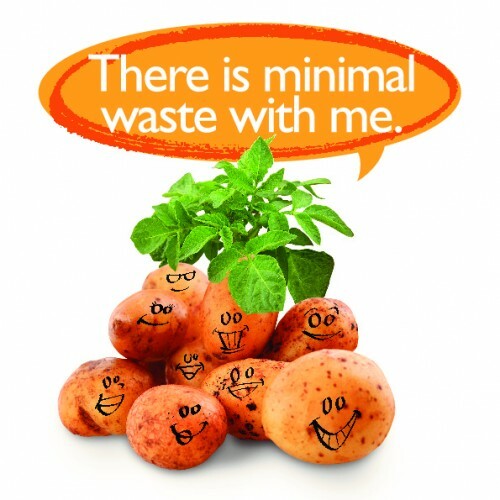 Potatoes are in fact an excellent source of low-density energy. This means that the energy we get from potato comes from carbohydrate (17kJ/g) rather than fat (34kJ/g) & is diluted about eight times with water. They are also a good source of vitamin C, a source of potassium & niacin, & if you keep the skin on a source of dietary fibre. When potato is cooked the starch gelatinises & becomes digestible. But when you cool cooked potato & let it stand for a while the starch chains partially join up, & this slows down the speed they are digested. So starch in cold cooked potato is digested at a lower rate than in the hot potato, & correspondingly has a lower glycaemic impact per weight. MaryRose Spence sees potatoes as a prime example of a food that has fallen out of favour in recent years for no reason other than fashion. “People often choose low carb options but the evening meal has to have a carbohydrate component to provide fullness." "So many myths and fads need to be dispensed with." says Spence. "Years ago, we used to have potatoes on our plates most nights - & we didn't have the obesity rates we have nowadays." Sue believes potatoes are an important part of New Zealanders’ diets. Paula Dudley sees potatoes as a great carbohydrate option for both young & old. 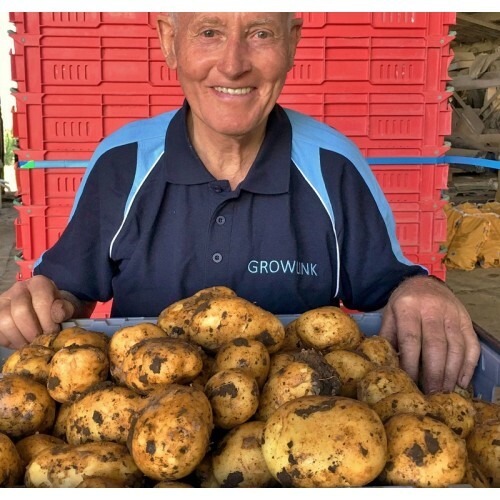 With many families managing their food bills on limited budgets, potatoes provide a cost effective way of bulking up a family meal. HEALTH BENEFITS OF EATING POTATOES - THE REAL STORY!